In 2008 and 2009 I had the opportunity to travel all the way round Australia and New-Zealand, armed with pens, paper and a microphone. When done, I went flew home with more than 60 hours of recordings in my bag. These recordings I molded into small sets, poetic portraits of the places visited. 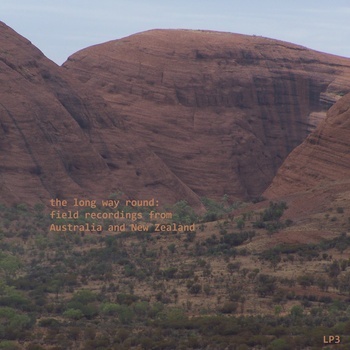 The result is this 6 album travelogue, an homage to two beautiful countries in the antipodes.